ARE BUILT IN. VERY LOW PRINT PAGE COUNTS. The Canon imageClass D1350 is an all-in-one printer that provides buyers with access to print, copy, scan, and fax functionality in one device. This Canon laser printer has a maximum print resolution of 1200x600 dpi. It also features a maximum copier and scan resolution of 600x600 dpi. The Canon imageClass D1350 has a print and copy speed of up to 35 ppm for one-sided printing, and up to 17 ppm for two-sided printing. This all-in-one printer has a first page out from ready in about 8 seconds with a warm-up time of about 17 seconds. It can handle a maximum paper size of 8.5 inches by 14 inches. 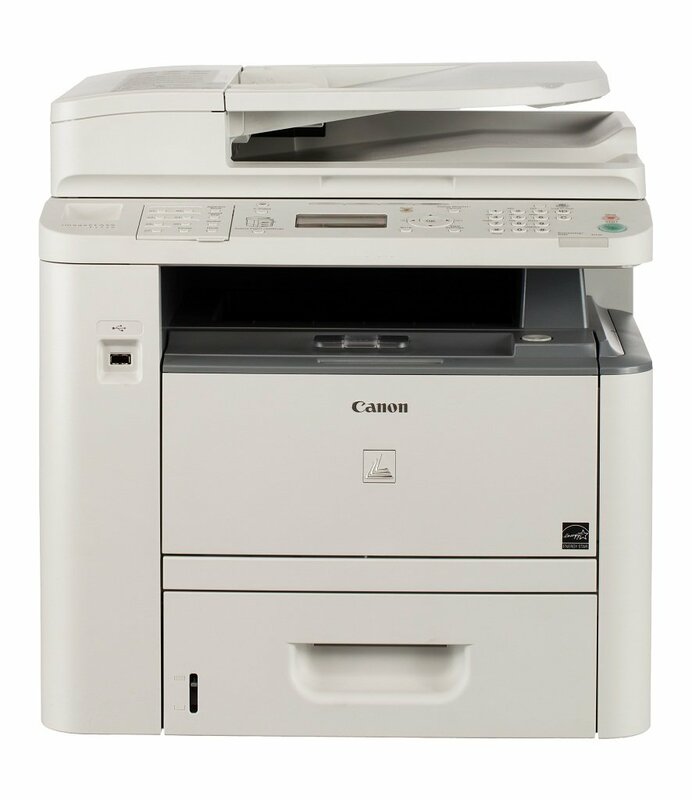 The Canon laser printer supports a variety of media types, such as plain, heavy, and bond paper as well as labels, small documents, and index cards. The power consumption for this printer is estimated to be about 550 watts when in use, 9 watts when in standby mode, and 2.3 watts when in energy saver mode. Connections on this Canon laser printer include USB 2.0 and Ethernet interfaces. The printer weighs approximately 47.1 lbs, and measures 17.8 inches wide by 18.4 inches high by 18.6 inches deep. FULLY REFURBISHED WITH 90 DAYA WARRANTY. A NEW SEALED TONER CARTRIDGE IS INCLUDED.